Have you ever had a dream of renovating an old historic building and opening up an amazing bed and breakfast? How about living on one of the country’s most beautiful coastlines in a picture-perfect small town? 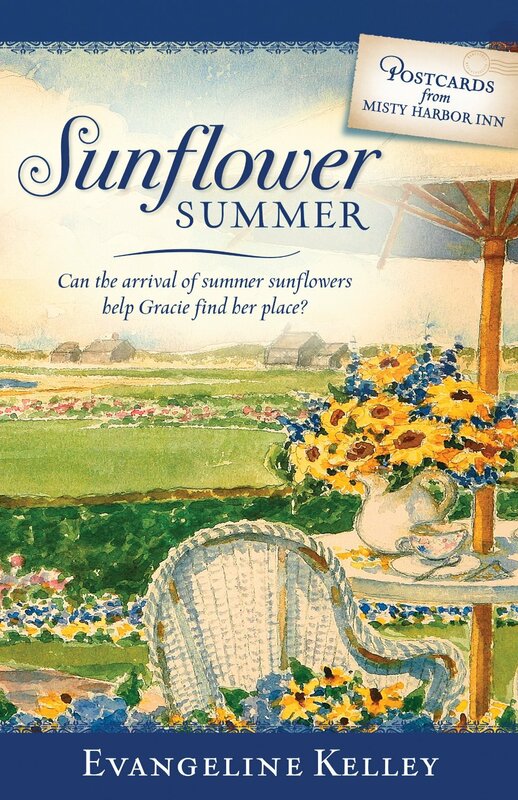 A new series, Postcards From Misty Harbor Inn by Evangleline Kelley, a pen name for a series of authors, is about renovations and inn keeping on Nantucket IslandSeaside Harmony and Sunflower Summer. The first volume that covers the purchasing of the old Misty Harbor Inn by three sisters drew me in. Caroline, Gracie and Sam had spent summer vacations on Nantucket Island as children and their late mother had a dream of renovating and running the old inn, with an ocean view. The sisters longed to make their mother’s dream come true. I loved the accounts of the renovation. I could visualize the beauty of the old inn, complete with antiques. 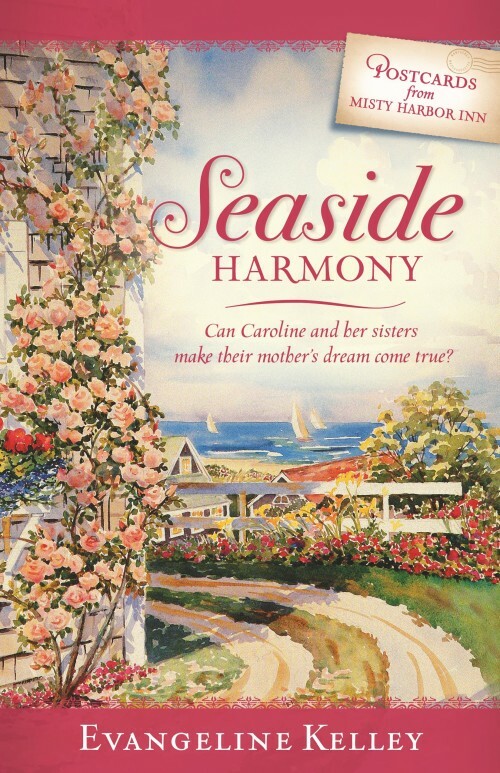 I also loved the accounts of the sisters getting acquainted with the community, a close-knit small town of “year rounder’s.” The description of an old-fashioned clambake made me wish I was there. I enjoyed the second volume but found that it did not captivate me. This book dealt with the actual, everyday work involved in running the inn for guests. They lost me here. I no longer envied their lifestyle. Getting up super-early in the morning to make a gourmet breakfast was not appealing. Constant cleaning, sweeping sand up, maintenance issues such as burst plumbing pipes and showers leaking made me realize I am not cut out to be an innkeeper. I did enjoy being introduced to some of the guests. An ageing but still beautiful actress, who arrived with her butler and a newlywed couple trying to blend two personalities into a whole, and an eccentric, selfish art teacher who begin to look beyond his own needs made the book interesting. This series is a delightful way to relax and dream of different lifestyles. There are love stories and a mystery in the old inn to solve. Also, the author’s have made the sisters, each one very different, people that you will enjoy getting to know. I recommend these books for just a delightful, relaxing read. I received these books from the publisher in return for a review. All opinions are my own. 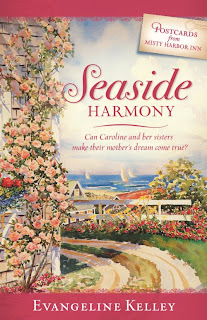 Evangeline Kelley is the pen name for the writing team of Patti Berg, Pam Andrews & Barbara Hanson, and Camy Tang, the four authors who collaborated to create Postcards from Misty Harbor Inn. Each of them has published novels individually, but this is their first series together.